Looking for a quick sub plan? A short cultural reading for a day when the class is being disrupted? A way to bring more culture into the classroom? Try a "Cultural Corner" reading! 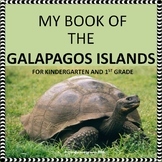 Students will read about three animals found on the Galápagos Islands and will apply their knowledge by making a travel brochure. Foreign language standards applied. 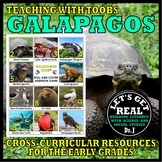 This unit on the resources of South America presents information about the wildlife of the Galapagos Islands, such as the Galapagos tortoise, the marine iguana, and the Galapagos penguin. On the activity page, students answer questions to crack a code. 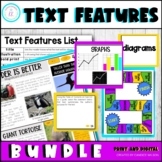 A note taker and answer key are also included. 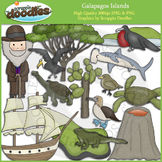 Here's a fun coloring page that can go along with a unit about the Galapagos Islands or Charles Darwin. 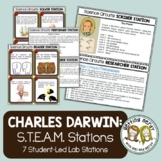 It includes drawings of Charles Darwin and four finches he observed. 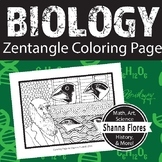 This activity is a great way to add a little fun! Eco-tourism refers to responsible travel to natural areas which conserves the environment and sustains the livelihood of the local people and their economy. 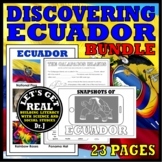 These worksheets look specifically at the Galapagos Islands and askeds students to create their own rules for eco-tourism.